As the first exploiters (oops, explorers) to reach our land, the Portuguese had the privilege of naming our small nation nestled on the West Coast of Africa. Serra Lyoa, “Mountains of Lion” in Portuguese, was thought to be the best fitting name by the Portuguese explorer, Pedro da Cintra, who is said to have first discovered it in 1462. Why he thought this name was the best fit? We may never know as he never really explained it. But historians suggest that upon approaching the mountainous Peninsula (where the present capital Freetown is located), da Centra saw the high mountains surrounding the coastal land, which gave the shape of a lion. But we like an old fable that da Cintra sailed our land in the rainy season, during which there was severe thunder and lightning; upon seeing the thunder and lightening on the high mountains, da Cintra conceived lions roaring in the mountains. But there has been no evidence of lions inhabiting those mountains. Today, the world knows it as Sierra Leone, but what’s in a name? To our people, it is fondly known as Mama Salone. Although it existed centuries before Pedro da Cintra sailed the west coast of Africa, there is hardly any written record before 1462 as our people did not keep written records; so da Cintra is credited with bringing our country to the attention of other Western explorers, who quickly made our land and people a part of their exploited territory. Mama Salone lies on the West Coast of Africa, sandwiched between Guinea in the Northwest, Liberia in the Southeast and the North Atlantic Ocean on the West. 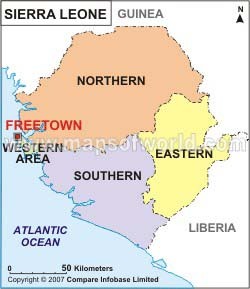 our capital, Freetown, sits on a coastal peninsula with the World’s Third Largest Natural Harbor. Official estimates tell us that our country’s population is 5.4 million, they also say our population is growing at a rate of 2 % per year . Because of the decade long civil war and the never-ending economic hardship, a vast number of our people are residing outside of Salone, creating a huge Diaspora in Europe, the United States and practically every corner of the globe. One of the beauty and strength of our people is ethnic diversity; there are at least 15 African ethnic groups that are referred to as ‘tribes’ in Salone; they have always co-existed, shared land and space in our country. It is hard to find a homogeneous region, our people move around fluidly within the country, and frequently intermarry, resettle in other parts of the country; however, preservation and maintaining ties with our ancestral land and people is a very important aspect of life for a Sierra Leonean woman or man. Mende, Temne, Loko, Limba, Kissi, Mandingo, Koranko, Soso, Fulla, Kono, Vai, Sherbro, Krio, Yalunka, Krim. Because of the British colonial legacy, English is the official language taught in schools at all levels, spoken in official transactions in public and private sectors and used for all official documents. However, we generally prefer Krio as our language of trade amongst ourselves; Mende and Temne are also widely spoken in most regions as these are the two largest groups, each making up 30% respectively. Further diversity of our people comes from an array of immigrants from other African countries, including The Gambia, Guinea, Liberia, Mauritania, Mali, Nigeria, Senegal, etc., as well as Europe, South Asia and the Middle East, etc. Our people also boast of a peaceful co-existence of various religions, including Islam, Christianity, Indigenous practices and others. 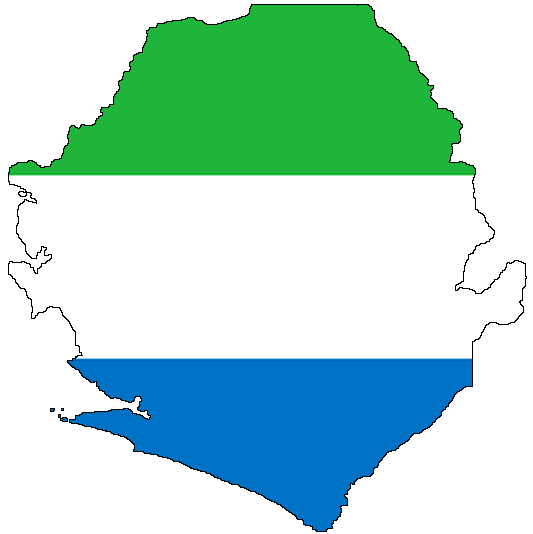 The coastal region of Sierra Leone is referred to as the Western Area; the rest of the hinterland is divided into three regions called Provinces – the Northern, Eastern and Southern Provinces. a period during the dry season called harmattan brings a short lived cool temperature for the last couple of months, during this period, dry winds called monsoon winds blow in from the Sahara Desert, this is when we dig out our sweaters to shied against the 60-65 degree temperature we find too cold.